The Lanterman Developmental Disabilities Act (the Lanterman Act) is the California law that gives individuals with developmental disabilities rights to services and supports they need to live as independent a life as possible. Regional centers are the local agencies responsible for seeing that you get the services and supports you need. Our attorneys have extensive experience representing clients at Individual Family Service Plan (IFSP) and Individual Program Plans (IPP) meetings at Regional Centers. We provide counsel to our clients on how to maximize the services and procedural safeguards they can obtain from the Regional Center. We provide advocacy at meetings to ensure the IPP provides services and supports to meet the unique needs of the individual. We represent individuals at mediation, and appeal an adverse Regional Center decision through a fair hearing with the Office of Administrative Hearings. Title II of the ADA provides that no qualified individual with a disability shall, by reason of such disability, be excluded from participation in or be denied the benefits of the services, programs, or activities of a public entity, or be subjected to discrimination by any such entity. 42 U.S.C. § 12132. This includes school districts. A violation of the ADA is also a violation of state anti-discrimination laws such as the California Disabled Persons Act and California Unruh Act. If a school fails to provide reasonable and accessible accommodations to assure meaningful access to the student, there may be an ADA violation. Other claims against school districts include isolation or segregation of disabled students, failure to allow the student to be in the most integrated setting according to their needs, or retaliation. Our attorneys will evaluate your case to determine whether you are entitled to remedies under the ADA, including injunctive relief, or monetary damages. The Federal Educational Rights and Privacy Act protects the privacy of student educational records. 20 U.S.C. § 1232g; 34 CFR Part 99. California must comport to this law, and in addition, provides its own protections for the privacy of student records. California Education Code Section 49073-49079.7. These laws allows students and their parents the right to inspect and review educational records; and also a process to correct records which they believe are inaccurate or misleading. If the school decides not to correct the records, the parent has a right to a hearing. FERPA also restricts school from disclosing educational records to third parties without consent. Some exceptions to the disclosure restrictions apply. Our attorneys can represent you with challenging misleading or inaccurate records. Many times these include disciplinary records, and academic records. Federal and state laws provide an administrative complaint process for students that have faced discrimination on the basis of disability, race, gender, and other protected classes. The Federal Department of Educations, Office for Civil Rights, will review complaints of violations of federal law that result in discrimination against students. If the OCR determines that it will open an investigation and finds that the school is in violation of federal laws, it could result in a settlement with school district. Similarly, there is a complaint process with the California Department of Education for discriminatory conduct. Our attorneys will review your matter and may recommend that you pursue a complaint process, which is more cost effective than litigation. We will draft your complaint and advocate for your case before these agencies to obtain equitable remedies and compensatory services. From which the child receives a meaningful benefits. Section 504 of the Rehabilitation Act of 1973 is a federal law that prohibits discrimination on the basis of disability in any program or activity that receives federal funds. A student is eligible for protections under Section 504 if they are disabled within the meaning of the Act. To be eligible, the student must be found to have a physical or mental impairment that substantially limits one or more major life activities, as a record of or is regarded as having such impairment. Are based on procedures required by the law. Additionally, any student that is discriminated against on the basis of their disability and in violation of Section 504 is entitled to remedies that include injunctive relief, compensatory services, and monetary damages. A child that is being bullied or harassed on the basis of their disability or facing a hostile environment due to the bullying and harassment may receive protection from Section 504. 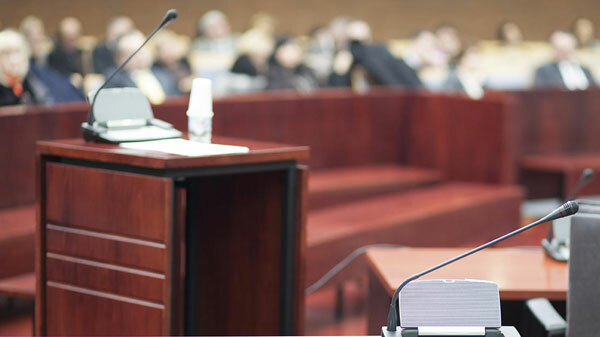 Our attorneys represent you in all aspects of obtaining protections and services under Section 504, including attendance at school meetings, hearings, and court litigation. California law requires certain insurance policies and health care service plans provide coverage for the diagnosis, behavioral health and medically necessary treatment of severe mental illnesses, including pervasive developmental disorder or autism. Cal. Insurance Code §§ 10144.5, 10144.51, 10144.52 and Cal. Health and Safety Code §§ 1374.72 and 1374.73. Our attorneys can assist you with reviewing your insurance plan to determine whether it is required to provide coverage for autism treatment and counsel you if you have questions regarding what to look for in an insurance plan.